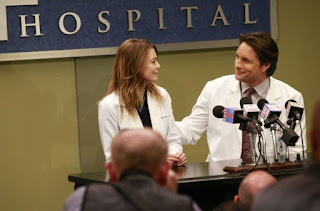 In an episode where whining and complaining spoiled the fun, Grey’s Anatomy doesn’t seem to be setting up the promised strong ending to the season. With only two more episodes left, Catherine and Richard are barely talking, Owen and Amelia rarely acknowledge the others’ existence or their marriage, and Jo — whose story has the most loose ends — hasn’t been seen in weeks (although actress Camilla Ludington was pregnant while filming this season). Egos have gotten too big in the hospital, which has turned the hostile workplace into an annoying one to watch. 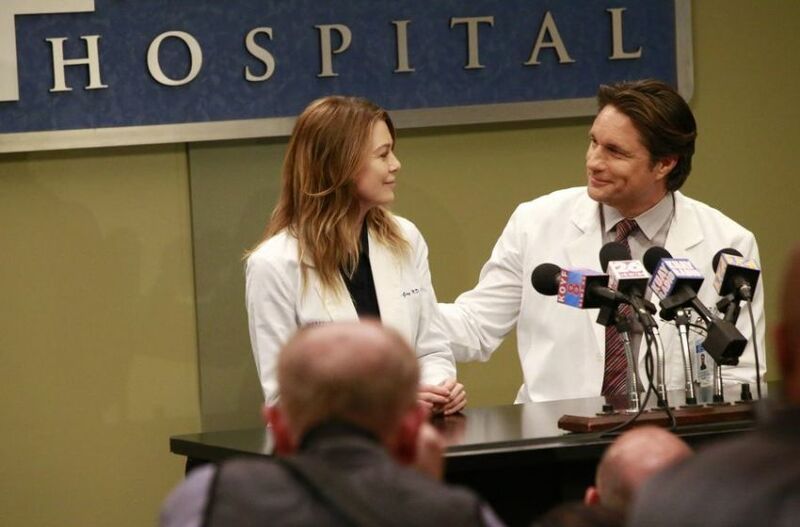 Other than Meredith and Nathan, it doesn’t seem like any other character is moving forward on any level, so here’s to hoping that the season can end on a strong note and finish what it started. Sometimes, I feel the need to pause the show and just yell at Maggie because she has become so obnoxious. I can’t be the only one who can’t stand when Maggie acts like a child when something doesn’t turn out the way she wants it to. The character is so immature, and although she has gone through some powerful story arcs, Maggie hasn’t progressed at all. At this point, there needs to be a major change in the character. It has gotten old watching her moan and cry over trivial things. That said, it is totally understandable why she would be hurt by Meredith and Riggs dating. Maggie was into Riggs, and Meredith never told her the truth about the on-and-off relationship. However, Maggie never went on a date with Riggs, so she really doesn’t have the right to be that upset over this. Why she can’t just be happy for her sister, who has been dead inside for several years, is beyond me. Maggie needs to learn how to be happy for herself and others because the selfish act is stale. It’s always awesome and terrifying when any medical show does a worms episode. There is something so intriguing about a patient with a stomach or intestines full of worms, yet it might just haunt your dreams at the same time. In this episode, a patient has three boluses of worms in her small intestine. The surgery scene was one of the most fun scenes of the season, as Richard, Stephanie, April, and Andrew have some fun with de-worming their patient. The worms are so clumped together that it looks like masses of spaghetti inside this poor fictional person. Yuck! This is a real thing that does happen, which is why it is so unsettling. WHY’D YOU HAVE TO BE SO COMPLICATED? Catherine and Richard are still at odds, which is the most understandable rift of the season. She won’t admit that she forced him out of his job, so it’s totally fine for Richard to still be holding a grudge. To make matters worse, Bailey enlists April’s help to try and convince the couple to talk and forgive each other. Seeing as all these characters have massive egos, it didn’t go well for most of the episode. There was a character arc for Bailey because she was able to set her ego aside and talk to Catherine from the heart, which convinces Catherine that she needs to make amends with Richard. There is a little progress at the end of the episode, but knowing Grey’s Anatomy, this battle isn’t over yet. There should be a final blow up to end the season to close this chapter. The other couple in limbo is Owen and Amelia, but does anyone really know what’s going on there? Amelia has a super rough day at the hospital, and Owen finds her crying in an elevator. Like the good guy he is, he joins her in the elevator and gives her a big hug. When the elevator hits the next floor, he leaves without ever saying a word to her. And she is still crying. This scene really confused me. I couldn’t figure out what just happened or why Owen didn’t try to help more when he wants Amelia back. Or, has he given up on her? We might know if the show would address this relationship! This hot and cold mentality has plagued the show for most of the season. They need to decide whether to stay together or not, but I’m quite fed up with both of these characters at this point.